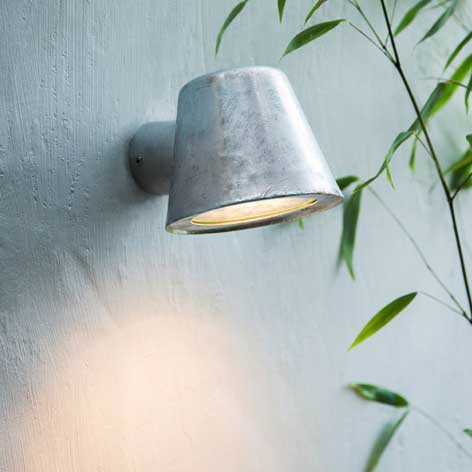 Our latest addition to the St Ives period exterior lighting range is perfect for adding some maritime chic to outdoor spaces. Finished in hot dipped galvanised steel, it's completely weatherproof and designed to withstand all weathers. Perfect in the porch or doorway - the St Ives Mast Light would make a fantastic way to shine a bit of light on a garden path or patio too. Lighting with a touch of seaside style. Includes 35W Halogen GU10 bulb. For bulb replacements try our new 5.8W LED GU10 energy saving bulb.